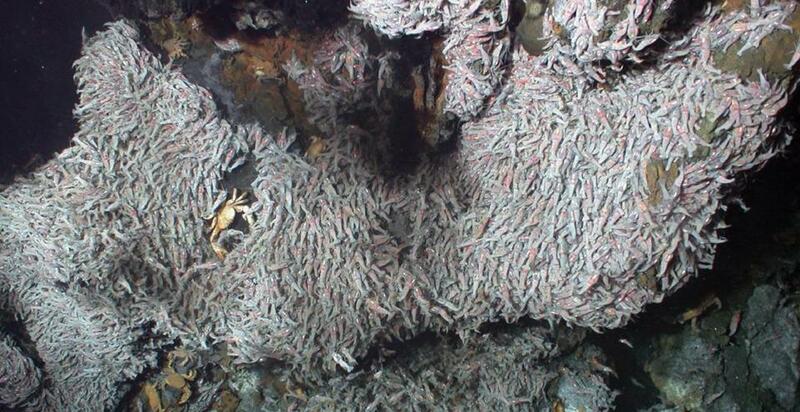 Tubeworms from the East Pacific Rise. For all of our GPS units, online mapping services, satellites, and general mastery over terra firma, it is easy to forget that much of the surface of our small planet is as unexplored today as it was at the dawn of civilization. Now, it’s true that most of this unexplored terrain is at the bottom of the ocean. Below thousands of feet of water. But just because we won’t be developing condos there anytime soon doesn’t mean it’s not worth knowing the lay of the land. The Lost City vent field. In that spirit comes a new book, “Discovering the Deep,” which is the most detailed atlas of the deep ocean floor in more than 40 years. It is the collaborative work of five scientists working together over a decade and collects stunning images of some of the most dramatic geological features on earth. The most authoritative book in this realm has long been “The Face of the Deep,” which was published in 1971. At that time, the only way to get a picture of the deep ocean was to drop a camera on a wire, which limited what scientists could see. In particular, the book focuses on the mid-ocean ridge, a 40,000-mile long volcanic mountain range that runs through all the world’s oceans, disappearing beneath continents and emerging again on the other side. At any given moment there’s volcanic activity somewhere along the chain. 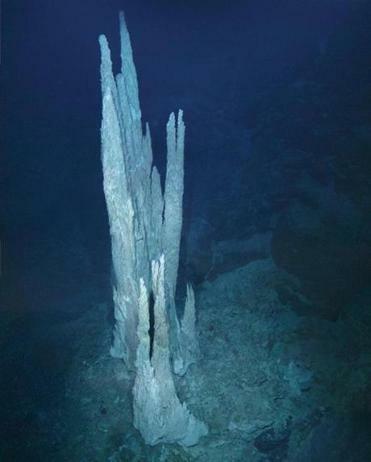 It’s also host to hydrothermal vents, which were unknown features until the late 1970s, but which are now understood to play a vital role in the formation of organic matter. The authors explain that cold seawater flows through cracks in the ocean crust to depths of one mile or greater beneath the seafloor, where it’s heated as it nears the underlying magma chamber and is propelled back upward. As the hot water jets above the ocean crust, it leeches gold, iron, sulfur, and other fundamental building blocks of life from the surrounding rocks. 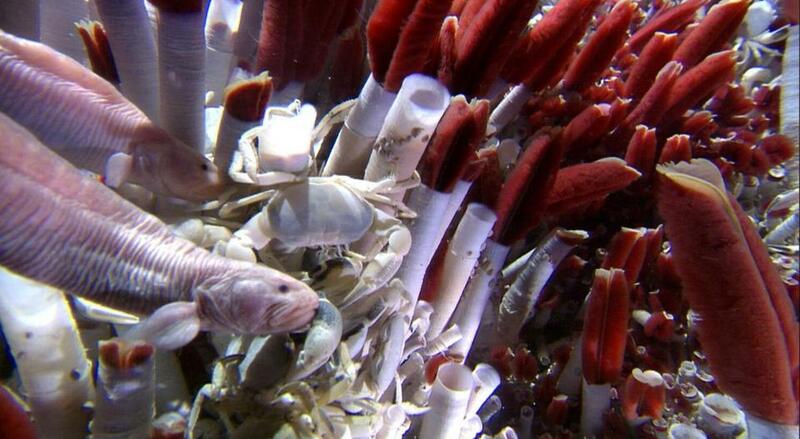 Novel microbes that live beneath the seafloor and near vents use these elements to sustain life. This turns the water around hydrothermal vents into a feasting ground, where progressively larger organisms gorge on each other. Biological significance aside, “Discovering the Deep” also showcases the mid-ocean ridge as a subject of pure awe. The authors hope that their book will have the effect of “pulling the plug” on the oceans — draining the water to reveal the marvels below. Shrimp from the Trans-Atlantic Geotraverse vent field.